Now the car runs and rolls, we were rather excited about having a little run up and down the road; did we have all the gears? would the clutch be ok? and finally, would the new brakes work? But all good things are worth a little wait, so I thought it would be best to at least fit one part of the floor prior to our adventure. 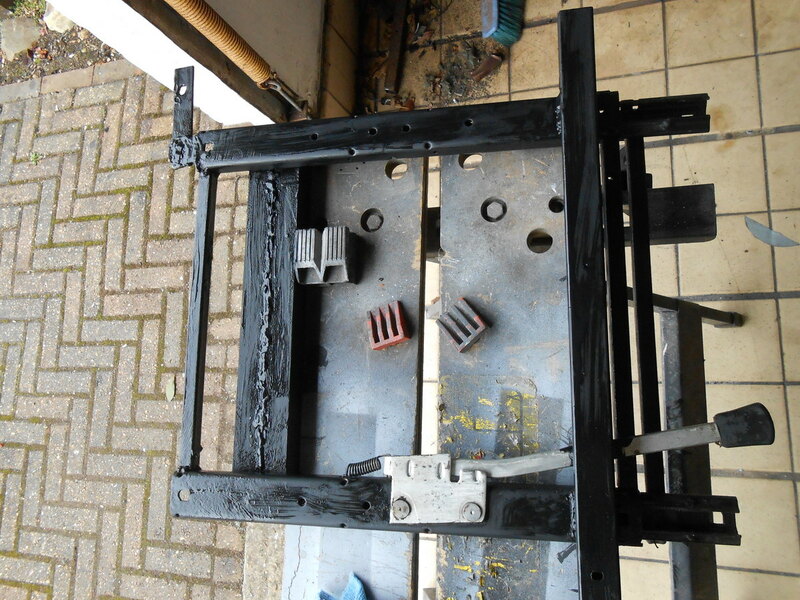 The original internal panels are a fibre glass and most were covered in ancient black carpet that was rotten, this was all removed and the panels cleaned down with brake cleaner before both sides enjoyed a matt black finish. 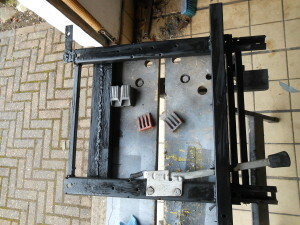 The plan always has been to line out the floor with alloy plate or chequered finish but these will sit inside the original panels and contrast with the dark paint. 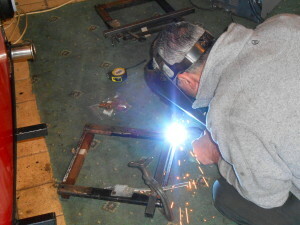 The inner panels would also be required in place before we could confirm our frame repair welding is located in the right place; for example, we replaced the front box section and with the inner panels in place the outers could be fitted. 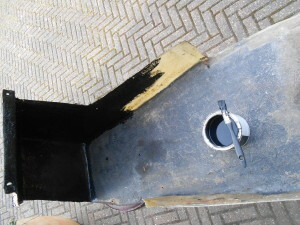 Better to find out now that we have ‘dropped a clanger’ than try and correct it once the panels are painted. The exhaust is made of various angles and flexi joints plus a Mini silencer no wonder it leaked. 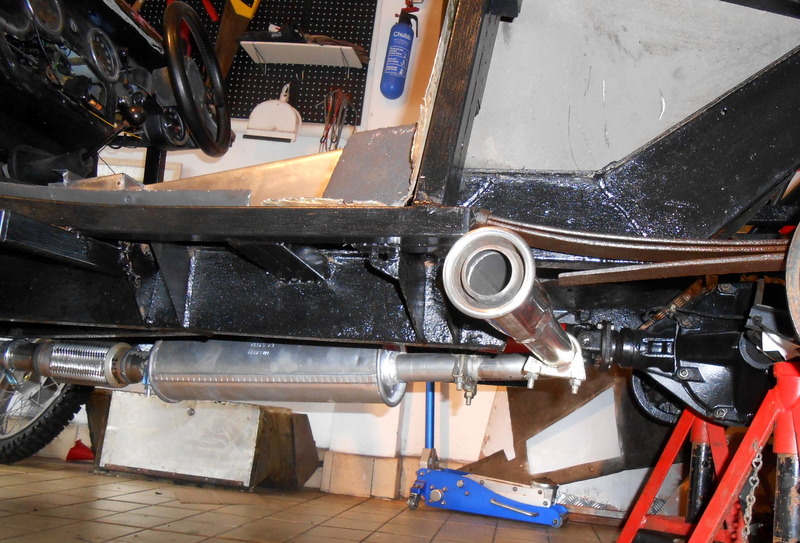 Problems, problems Our new exhaust system had a small blow, an easy fix but the leak from the rear of the gearbox presented a major issue. I had the correct rubber seal to stop the drip, our problem was that in its distant past someone had tightened the main securing bolt into place with an air gun but without the correct washer in place. The nut had chewed into the sprung spacer and was totally locked into place. Several hours with air guns, breaker bars and lots of bad language failed to make any impression on the nut. 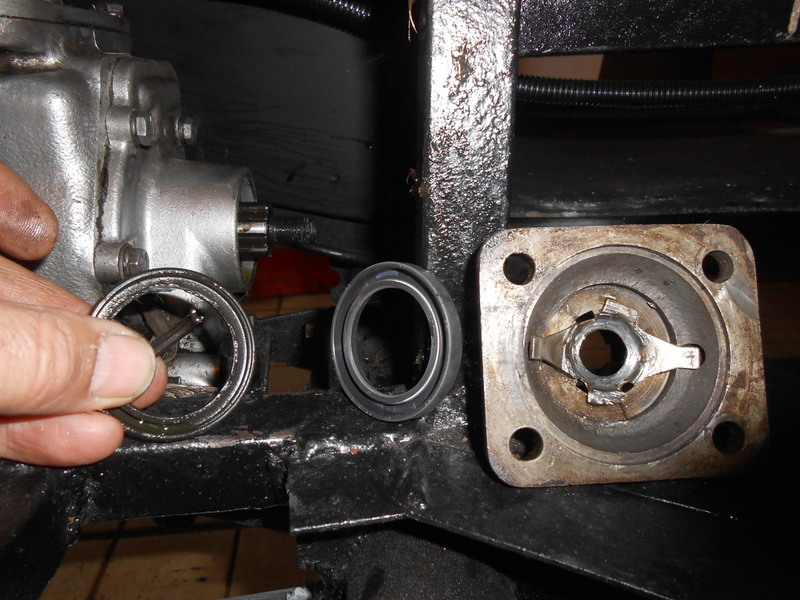 The leak wouldn’t stop without a new seal and the nut was offering no signs of budging; choices now involved either an engineering shop or a new gearbox, both guaranteed hours of extra labour. Alan brought his super airgun along and we adjusted the compressor to give max output for our do or die last attempt. Third rattle from the gun and the nut surrendered and with the old extremely brittle and broken seal replaced we went for a celebration fry up. 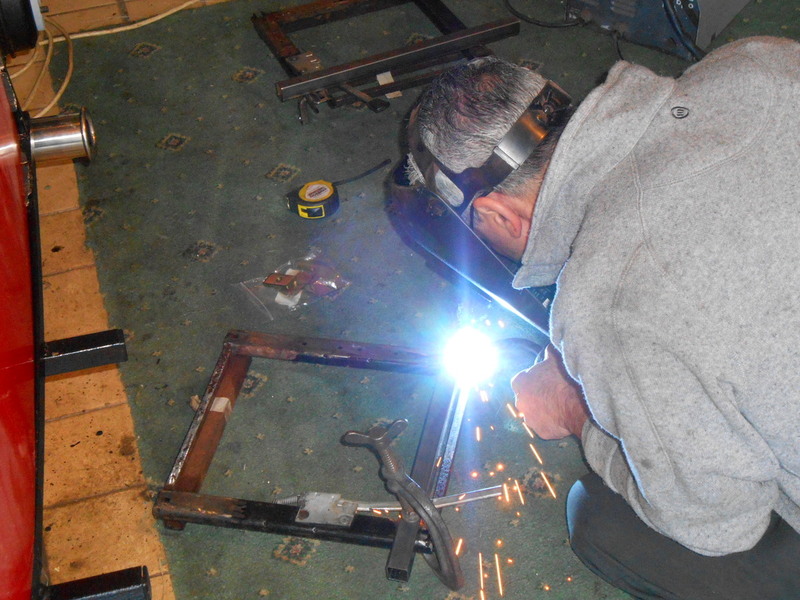 The seat bases were rusted in several places so Alan welded in new sections to secure. Once solid, rust resistant under coat and top covering of matt black before refitting to the seat. Alan’s surprise at the way the Sienna went up the road was apparent but even considering the weight of its body would certainly slow the car somewhat, it still impressed. 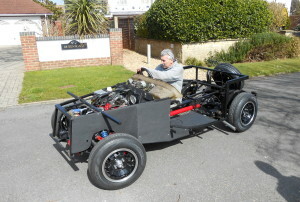 The clutch is light and the brakes although still to ‘bed in’ stop our weightless machine very well and our fears of the disc conversion ‘locking up’ at every opportunity proved unfounded. The gearbox has stopped leaking but selection is far from precise with too much gearstick contributing to its vague feel finding the next gear; this we can address later. We found our throaty homemade exhaust wasn’t loud enough to annoy the neighbours but offered enough, although repositioning will be necessary as it runs too close to the rear tyre. All fixable without breaking the bank, so we hope those who have followed this rebuild have enjoyed our trials and tribulations and you will look out for the continuation later this year. The first time the Sienna has moved under its own steam for at least two decades.